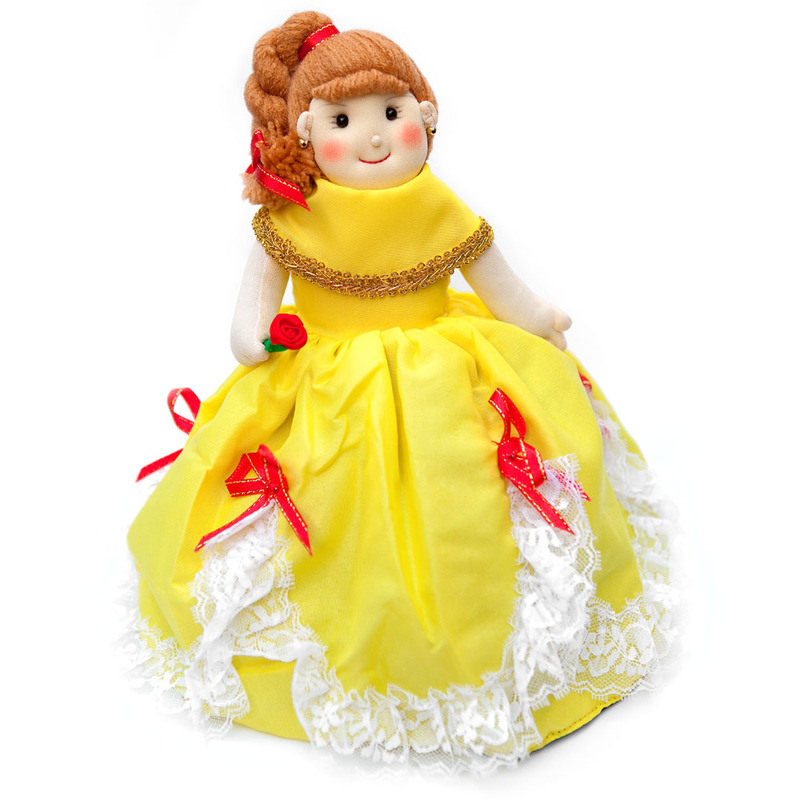 This ingenious design lets you play through the whole story of classic tale Beauty and the Beast as all the characters are contained within a single doll! Up one way, Belle is glowing in her golden dress, then flip her skirt up over her head to reveal the Beast... or is it a handsome prince? The Beast is facing one way, the prince the other! This Lmall doll measures approx. 26 cm "head to head".